As Christians, we are pilgrims on a journey and as such we need to know where we came from, where we currently are, and where we are heading to. If we lose this perspective we end up wandering aimlessly around. It is also the responsibility of the catechist or teacher together with the Parish Community to present themselves to the young people and others as people who are forward looking while at the same time thinking of the past to build on good and traditional aspects that have stood the test of time. It is only in this way that we can live loyally to our prophetic call. Like the Old Testament prophets, and any other great teacher ever since, our proclamation of the Christian message should be grounded in Christian tradition, relevant to the present time and looking at the future. 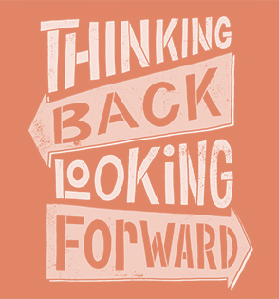 It should lead others to reflect about their lives and to think about God’s will for them in the present. Otherwise we run the risk that our catechesis becomes mere Christian instruction without touching the heart. "Catechesis must connect Scripture, Tradition and the Magisterium. These three categories go together when teaching the Catholic Faith." "Our ministry ought to be lived in joy. Let us be “ministers of the Gospel, whose lives glow with fervour and have first received the joy of Christ." Elizabeth Seton was born in New York in August 1774 to Calvinist and Episcopalian parents. At the tender age of three, Elizabeth lost her mother. Aged nineteen, the well-cultured Elizabeth married William Seton of an important and wealthy merchant family. Through his contacts with Italy William brought Stradivari violins to America. In marriage Elizabeth gave great importance to her Christian life and to prayer, even choosing a bishop as her spiritual director. The French wars in Europe led to the total collapse of Seton’s trade. William had been suffering from tuberculosis and he was sent to Italy for a better climate. Elizabeth and their eldest daughter Anna Maria went with him. William actually died and was buried in Livorno, Italy but while in that country, Elizabeth came in contact with Catholic families and faith practices. Back in New York, she became a Catholic in 1805 inspite of the harsh opposition of her relatives who withdrew all support to her family. Her attachment to Holy Scripture and the Eucharist increased, as did her devotion to the Blessed Virgin Mary. Encouraged and supported by the French Sulpician priest Fr Valentine Dubourg, Elizabeth set up a school for the education of Catholic girls in 1810 in Emmitsburg, Maryland. She also established St Joseph’s Academy and Free School, and founded the first community of Sisters in the United States to care for poor children. This Order was the Sisters of Charity of St Joseph’s on the style established by St Vincent de Paul and the Daughters of Charity in France. In their adopted rule the Sisters made temporary provisions for “Mother Seton” to continue raising her own children. Weakened by constant illness, Elizabeth continued caring for the school and the community. She experienced great joy in fulfilling God’s “sacred will”. 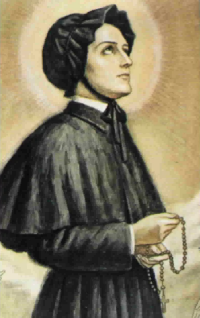 Mother Seton died of tuberculosis in 1821 at the age of 46. Beatified by Pope St John XXIII in 1963, she was canonized by Pope Paul VI in September 1975. 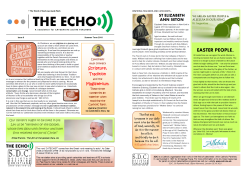 Her tomb is the National Shrine of St Elizabeth Seton in Emmitsburg, Maryland. Her feast day is January 4th. 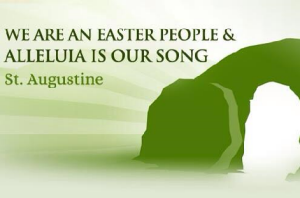 At Eastertime we use again the word Alleluia reminding ourselves that we are Easter people. The tomb is no longer a place of death but the place where to begin talking of life – not only the present one but also the future one: “Just as Christ was raised from the dead by the glory of the Father, so we too might walk in newness of life.” (Rom.6:4) The risen Lord goes before us and calls us with a compassionate and forgiving love to follow him. It was rightly so that women, who are those who give birth to life, should be the first to go and proclaim to others that the Lord is alive again. Like the women, we are entrusted with the task of proclaiming that the Lord is risen. When we go through hard times or are disheartened, the glorious Christ and the restless Spirit of God urge us on with the task to proclaim Jesus to others, finding hope in the power of God who raised Jesus from the dead. Jesus took his wounds with him to the grave and did not disown them at his resurrection. The resurrection of Jesus encourages us. The risen Lord strengthens our faith so that we may strengthen the faith of others. We believe that good will triumph over evil as much as Jesus triumphed over sin and death. Wherever the disciples went ‘there was great joy’ (Acts 8:8). Let us be joyful witnesses to what we believe in. Alleluia!